As your teen goes through puberty, they’ll experience many changes in their body. Changes in their skin, hair, weight and height are just some of the way they might feel physically affected by the hormonal changes taking place. Furthermore, body odor, greasy skin and hair growth can all become more apparent than before. Hygiene is extremely important to emphasize during this time as a result. Here are some tips to keep in mind when teaching your teen about personal cleanliness. When you child was younger, it was unlikely that you bathed them every single day; it just wasn’t necessary. But when puberty hits, it’s important that your teen gets into the habit of showering every single day because of the oil that accumulates on their hair and skin so quickly, as well as their body odour. To make this easier, establish a regular “shower time” so that your teen gets used to in their routine. With time, it’ll come as no surprise when you tell them it’s time to shower. With any luck, they’ll begin to take the initiative on their own! Another new habit that your teen will have to develop as they enter puberty is using deodorant. When in puberty, your teen’s sweat changes and begins to have a stronger smell. Emphasize that sweating is ok and normal and that it’s simply the odour that you’re working to minimize. Entering puberty will also mean that your teen—regardless of gender—will start to develop more body hair. 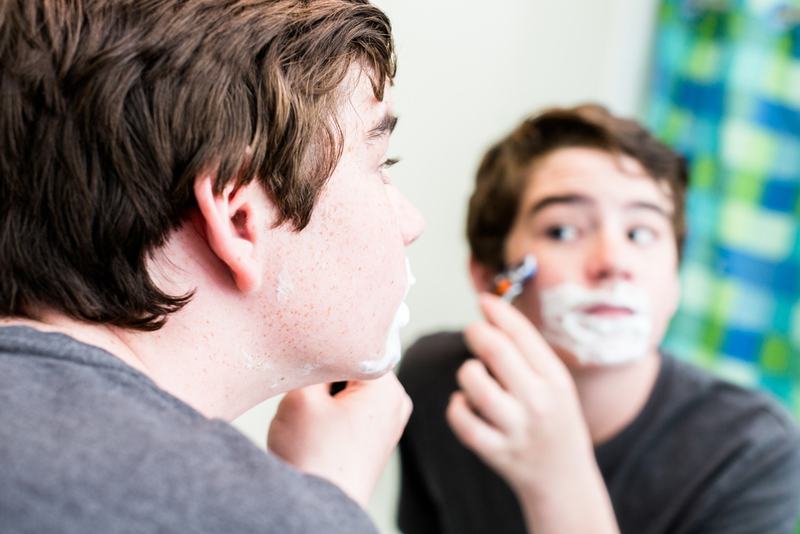 Invest in a good shaving kit for your teen and help them learn the basics of shaving regularly. While it’s ultimately up to them whether or not they want to shave and how much, it’s important to provide them with the basic information that they need. At the end of the day, be available to answer any of your teen’s questions about the changes taking place in their body. The conversations might be awkward for both of you, but it’s necessary that they learn healthy habits from someone they trust.